While we Southern Californians are supposed to be used to the sunny and warm Fall and Winter weather, we have been gifted an extra warm front. Al Roker even said we’re the hottest place in the U.S., and I’m guessing he’s not just talking about our gorgeous ladies. ;) As such, I felt the need to break out my sweet little Tom’s wedges for all my Black Friday and After Thanksgiving shopping sprees. The other great thing about the design of these is that they have this little V elastic piece across the bridge of your foot. This little stretch is not only to help to give you the perfect fit and avoid an excessive gap on the outsides of your foot as you step, but it keeps the shoe from overstretching as you wear them over and over again, making them last in your regular shoe closet circulation that much more. It makes for a $mart wardrobe investment. 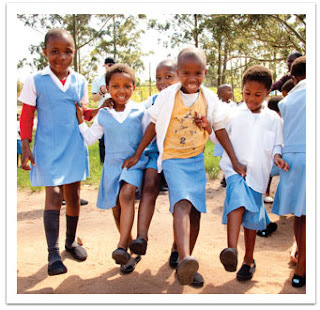 And talking about $mart investing, Tom’s Shoes donates one pair of shoes with each of your purchases to a child in need. Tom’s works with their Giving Partners to distribute shoes all around the world. They have also started donating eyewear as well with their new line of sunglasses too! In this season of giving, this is one of the easiest ways to do some real good and score points with Santa for your own Shoe Wish List. ;) Besides, can you even get over how adorably sweet these cuties are? Their happy smiles make me want to get them each their own little shoe closet! Don’t you? 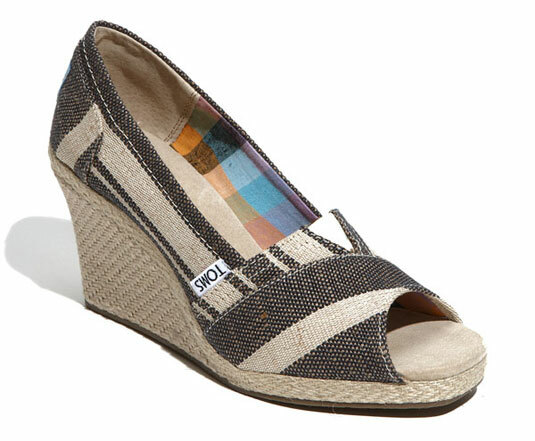 Wedges not your style? Or perhaps you aren’t living in the warmer climate to allow for wedges, Tom’s new glitter line in all the festive colors might be a great option for you this holiday season. Did you miss out on scoring some Missoni for Target in my giveway?? I have one more pair to give away so check out how to get the last pair here!